I used to work in companies where people get sent abroad, people of higher position or those who are just simply brilliant at what they do; I fall neither in these categories. So there it goes, at the back of my head, an impossible dream. It wasn’t until I worked in my previous company that I started entertaining possibilities of being sent on a business trip. I wasn’t consistent with the whole ritual of visualization where you meditate and think about it every single day. My process is more like, I ask the universe then forget about it. And then it happened, just not exactly the way I envisioned it. Late last year, I left the company, accepted another job offer, and just a month after I started, my boss summoned me to our head office in Sydney, Australia. The business trip I only used to dream about has materialized. Wait what, how did this happen? PAL is cool, like seriously! I wish I could tell you, it was due to my outstanding performance as an employee, but it was too early in the game for that. I started working for my current company in October, the business trip transpired in November. My boss summoned me so I can meet the rest of the Knowledge Management team. I am working as a Knowledge Specialist for an IT company based in Sydney. In the Philippines, our office can be found in Eastwood, Quezon City. I paid AUD 140 (₱5,716.65) and passed my application on the 30th of October. That’s it, no interview, no embassy visit, no need to have it arranged by a travel agency. My flight was scheduled on the 10th of November so I sent a follow-up email on the 6th. The next day, I received my visa approval. I was excited to go to Sydney, but I wasn’t too keen to be on an 8-hour flight. I was traveling with my fellow writer, Kristel on a 10:30 p.m. PAL flight. We met at NAIA Terminal 1, as soon as I got off the Uber, one of the airport staff approached me with a trolley. Next thing I knew, he was leading me to a booth where I had to pay for his porter service. He did push the trolley for me but only up to the counter. I could very well do it on my own, I only had one luggage and one backpack, the porter service is an unnecessary expense in this case. NAIA Terminal 1 is smaller and less busy than the other airport terminals. I know this may sound funny, it’s not like I was flying business class, but this terminal somehow made me feel like a VIP. The first time I flew PAL was on a trip to Bohol. I remember feeling sorely disappointed that it wasn’t anything I expected it to be. It’s the Philippine flagship airline, I didn’t appreciate being served with Skyflakes for snacks. My opinion of the airline changed dramatically on this flight. First of all, food! Not just crackers but a meal. I’m aware this may be because it’s an international flight, but still, I appreciate the full package. 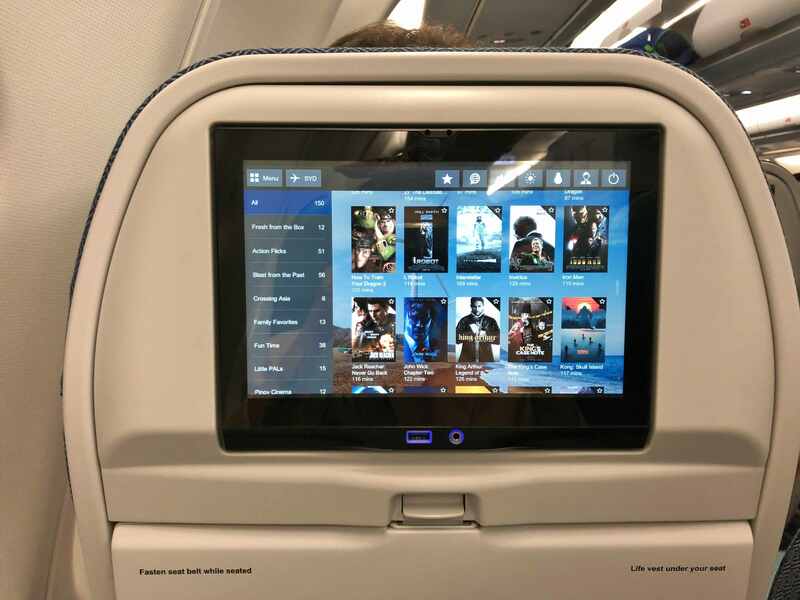 And the next best thing, the digital monitor for each passenger. You’ve no idea how important this little piece of screen helped me manage my flying anxiety. Sleeping on a flight is not my thing, or should I say, not something I am capable of doing. Hence, I was ready; music on my phone, check, books to read, check, and now movies to watch, check! I was armed to the teeth. Somewhere between that 8-hour flight, turbulence strikes, too intense for my armory to handle. What’s a girl to do but sleep? I couldn’t do it on my own, I needed to pop a pill. When the med took effect, I was too groggy to care if the world is crashing down. I took liberty in occupying all 3 seats in my row and I did it with my seatbelt on; uncomfortable but doable. If you somebody told me years ago that I would go to Australia for a business trip, I wouldn’t have believed it. I have come to appreciate this aspect of life, the part when you get thrown with pleasant surprises. Nov 11 – around 10:00 a.m., Sydney time, we touched down Sydney Kingsford Smith Airport. The first point of business is to get an Australian sim card and the Opal card. 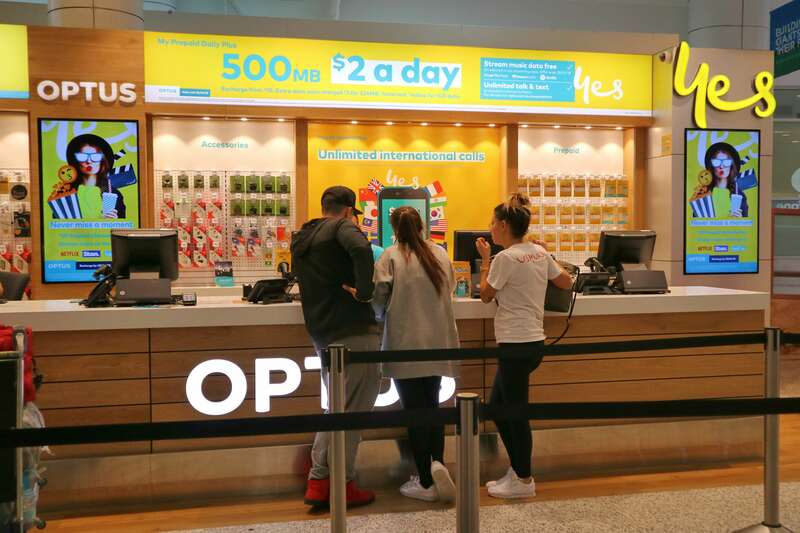 I approached the Optus store and asked for data that is good for 1 week of use. The staff recommended the Sim Only Plan for AUD 30 (₱1,225.00) with 3GB data. 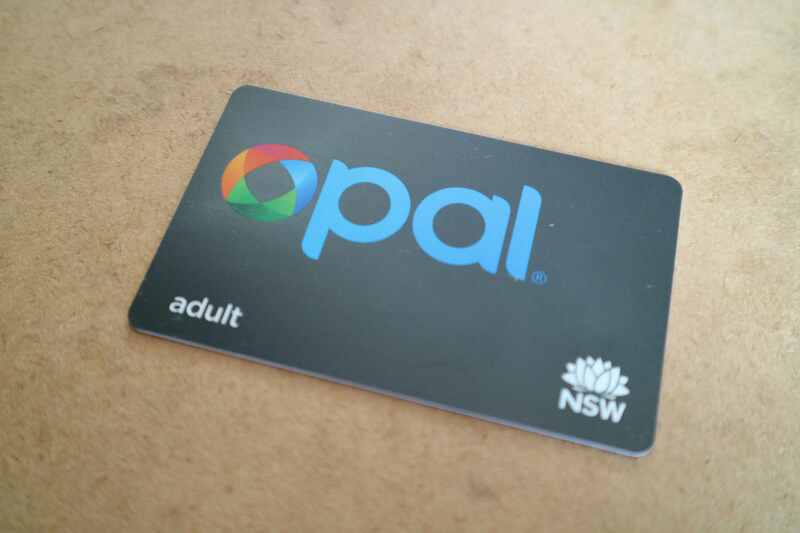 Opal card is a smartcard ticket that you can use and reload for public transport in Sydney. I got the Adult Opal for AUD 40 (₱1,633.33). After getting what we needed, Kristel and I parted ways; we wouldn’t see each other again until Monday. Meanwhile, I had the weekend to explore Sydney. I hailed an airport taxi that cost more than my soul to take me to my hostel. 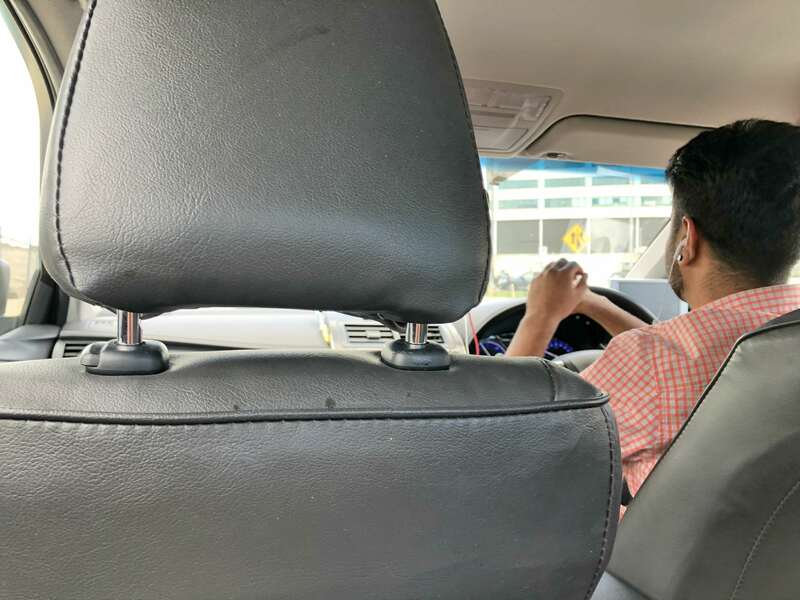 They do right-hand driving in Sydney, the driver is an Indian guy who said that he has been living in Australia for 3 years now. And it was the beginning of the best 9 days of my life. Marjorie Gavan, is a technical writer and blogger from Manila, Philippines, who is passionate about writing, reading, traveling, music, and volunteering. This BS Journalism graduate from Lyceum of the Philippines has come a long way from the skinny 11-year-old who secretly writes poetry. She now has over a decade of writing and editing experience in the field of marketing, public relation, technical writing, and government service. When she’s not writing, she’s usually propped up on a chair with a book in hand (she reads several books at a time). Either that or she’s traveling. This is absolutely enviable! I wish I could go to Australia too, but I heard the cost of living is quite expensive. Australia has a varied terrain that’s great for hikers and explorers. I hope someday I get to go to these big expensive cities for free too — that includes Dubai and NYC. A far-off dream. I’ve only flown PAL domestic … I wish I could also fly international with a flag carrier though I’m not sure if the legroom would matter much since my legs are pretty short. 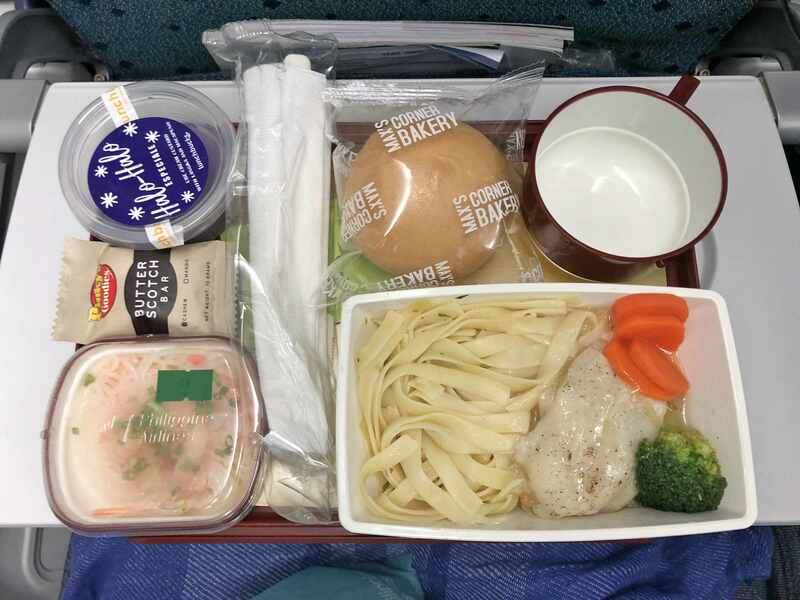 But the food looks really awesome so maybe it is really great to fly with a flag carrier. The best in flight meal I got was for a 5 hr trip but nothing like your meal! So, congratulations on a good start! Looking forward to more stories from your trip to Australia! Looking forward to read more posts on your Oz adventure. It’s a great opportunity to foster spirit and motivation, whenever a company sends their team overseas for work. Well done! I do miss business trips, the adrenaline of visiting the international headquarters and meeting colleagues we often just communicate with via email. Hi Arni, you are right, I felt very motivated to do my job more after the trip. I was also happy to meet my boss and teammates in Sydney. You are one lucky lady! Being sent for an international travel in your job is awesome, considering that you were with your employer for a month or less. You chose to keep us readers in suspense about your Oz experiences but I’m sure you had a fantastic time there. Sydney is a beautiful and vibrant city. I had visited the city a decade ago and I always want to go back. How lucky! I wish my work would send me away to Australia haha! It sounds and looks like you had an incredible time, your photos are amazing, I can’t wait to read more from you! I almost went to Bondi but when it rained on the day I was supposed to go. I will definitely visit next time. Wow you are one lucky gal that you got to travel for a business trip to Australia. I bet all expenses paid? I had a similar experience on a business trip to London. Glad to know the Visa and flight experience were good. I can’t wait to read more about your trip! Yes, it is company sponsored. I only covered my personal expenses when I extended my trip so I can explore the city. Truly, it is always great to work in the company that would really willing to send you to other countries for a specific job, or just for a company treat. My first out of the country trip was sponsored by the company and I will be flying to Bangkok, Thailand in the coming days, which will be sponsored again by the company I’m connected with. Anyway, Sydney has long been penned on my bucket list and hopefully, I’ll get the chance soon. you must really have enjoyed your trip to Sydney. I can’t wait to read more of your Sydney experience. Glad you get this kind of opportunity in your work too. Isn’t it amazing?! Waaah. I’m so jealous of the fact that you didn’t go through the typical hassle of acquiring a visa. Like I’ve been wanting to try and visit Sydney as I have friends there. But I’m always scared of the Visa application as I’ve been told it’s super strict. Give it a try. It’s not hard if you have all of the required documents. Oh man. How I wish may ganyang perks din ang work ko. Hahaha. Regardless ng effort and galing namin we only get a pat in the back and some barya na kasya lang sa isang eat all you can buffet. Let’s see haha… Should an opportunity comes, I would gladly accept it. Welcome to Coffeehan! My name is Marjorie and I am from Manila, Philippines. I'm a writer by profession and by passion and Coffeehan is where I write all of my travel (and some personal) stories. Feel free to have a look around, I hope you find what you're looking for. Thanks for visiting! A penny for coffee maybe?